The Trinidad and Tobago Medical Association (T&TMA) continues to be concerned about the lack of employment for qualified medical professionals, and in particular House Officers in the public sector. We estimate that there are close to 200 of our colleagues who continue to seek permanent employment. For the last 3 years, the job security historically enjoyed by the medical profession is no longer guaranteed to our medical school graduants. A one-year internship after graduation makes a doctor legally able to practice across the Caribbean in private institutions, and on their own in a private practice. 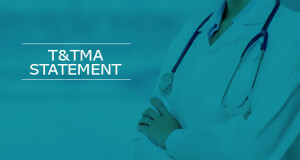 While the internship gives them exposure to six months of Surgery and Medicine respectively, it is the opinion of the T&TMA that there may not be enough experienced garnered in this year for junior doctors to stand on their own in private practice without the support of senior input. Having had meetings in the past with stakeholders, the association acknowledges the difficulty in postgraduate education program placement, in the absence of steady employment, creating an issue about doctors furthering their education to become specialists. We acknowledge the ministry’s claim that specialist Consultants are needed in 11 fields of medicine. It is lamentable that we cannot produce homegrown candidates, partly as a result of lack of employment and spaces in specialist education programs, for our young doctors to train to become specialists in those fields. Each of the 11 fields mentioned by the good Minister, requires specialist training that can only occur with employment in a primary centre/hospital setting, and will not produce consultants if Junior officers were to work in rural communities/tertiary centres in Primary Care. The majority of these doctors have no choice but to pursue posts abroad where they can get the required training and competency in their chosen area of specialization. These, and other factors, continue to contribute to the “brain drain” that has plagued our profession – not only are we not training the Specialists, but, for those who do go abroad to do specialist training and then return to serve our nation, we don’t seem to be able to retain them in the public sector for an appreciable amount of time. Next: Interview with Dr. Rupert Indar Sr.